8 Tips For The Ageing Runner | JustRunLah! Being a master runner brings your body immense benefits. Contrary to popular belief that running past a certain age carries with it certain risks, running brings you far more benefits particularly since the reality of ageing and degeneration is inevitable. 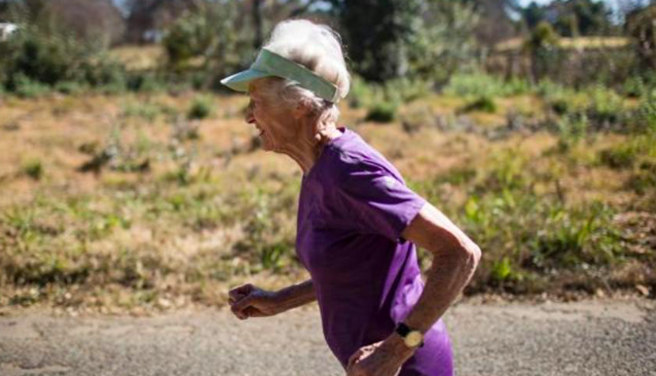 Running can delay many of the inevitable effects of ageing. You will experience better mobility, coordination, weight control, bone density, muscle strength and just an overall improved sense of wellbeing. So. lace on your shoes and you’ll be cheating the years! #1 Stretch before and after EVERY run! The importance of stretching cannot be stressed more! Especially when we are ageing! #2 Sleep adequately to recover well from a run! Don’t be a superhero! You can’t take care of the grandkids, send the grandkid to school, cook breakfast lunch and dinner and be a record breaking runner! Remember to recover well. Remember to sleep adequately. This is to avoid injuries. #3 Cross Train! Vary the workout to prevent muscle exhaustion! 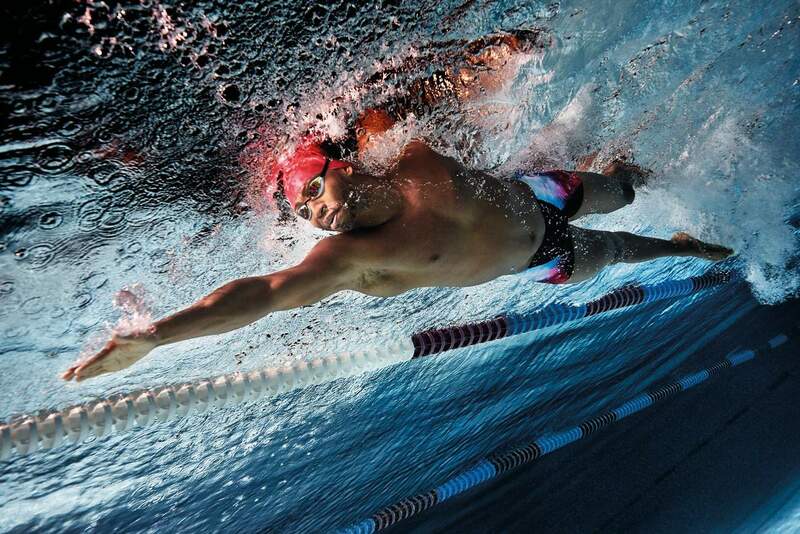 Maintain your fitness doing other sports – swim, hike, bike maybe? Or you could even try yoga! #4 Join a running group! The camaraderie and support will keep you going! #5 Get a family member to run with you. You could join races with your son or your grandchildren. 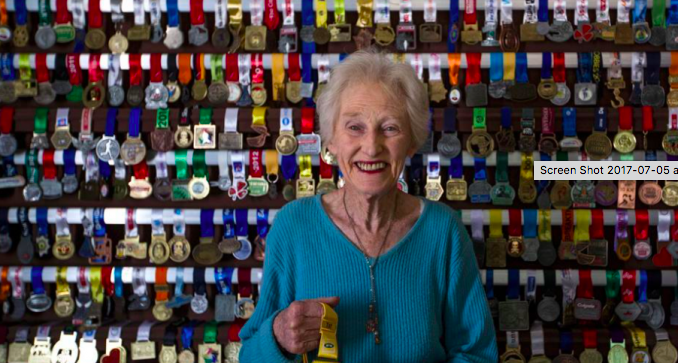 Did you know 85 year old South African Deirdre Larkin who holds the half marathon world record in her age category started running with her son? Family members can become a great support system and inspiration. #6 Join races at places you’ve never been before! Running can take you to new heights and new places. Pick a place you’ve always wanted to visit and go son a race-cation! It could be in Mount blanc or the streets of Tokyo! #7 Set a goal for yourself and work towards that goal. Pick a race to test your running out! #8 Volunteer for races! As we age, we want to inspire people but also draw inspiration from people. Run to inspire, and be inspired! You won’t be able to imagine who can inspire you when you volunteer for a race. 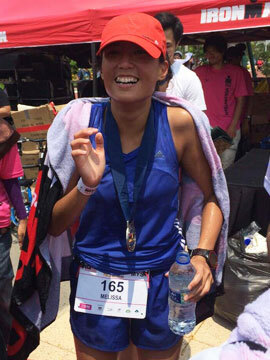 It’s a different kind of experience – one that will bring you a long way in your running journey!